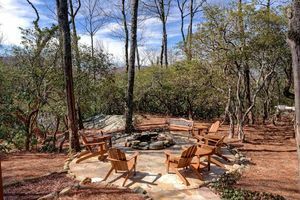 Outdoor fire pits add great appeal to Highlands NC properties. Even better is the fact that these outdoor pits can be simple or grand, portable or built-in, DIY or constructed by a professional. Regardless of what you choose your fire pit will create a great focal point and a place to make memories. If you are considering listing your Highlands home for sale consider a fire pit if you don’t have one already. Outdoor living spaces add great appeal and value for buyers of Highlands real estate. People come to the Southern Blue Ridge Mountains to enjoy the great outdoors. This includes fresh mountain air, a plethora of activities, from hiking to golf, and outside entertaining. Whether you have a built-in outdoor fireplace on a deck or patio or a simple fire pit surrounded by chairs this is a feature that will be enjoyed when the air cools at the end of the day. In addition there are those evenings when s’mores must be the dessert of choice! Contact our team at Berkshire Hathaway HomeServices Meadows Mountain Realty today to learn more about homes in Highlands NC. We welcome the opportunity to update you on current market conditions while sharing our knowledge of the area. Our unique mountain area is special to us and we want to share our passion for it with you. Let our experience serve as your guide to Highlands NC properties. The HGTV website has great ideas for fire pits.